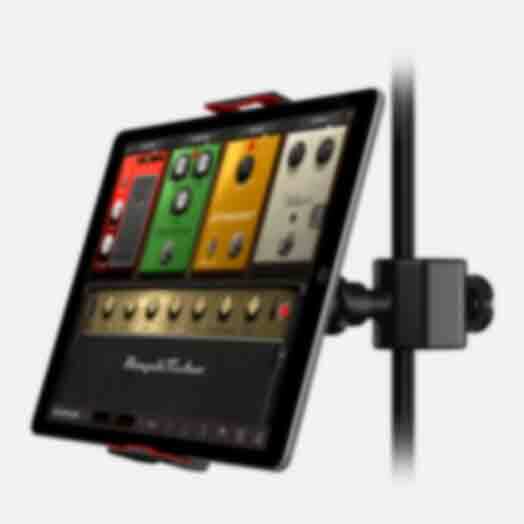 IK Multimedia invented the live tablet support in 2011, changing the way musicians were carrying their mobile devices on stage. 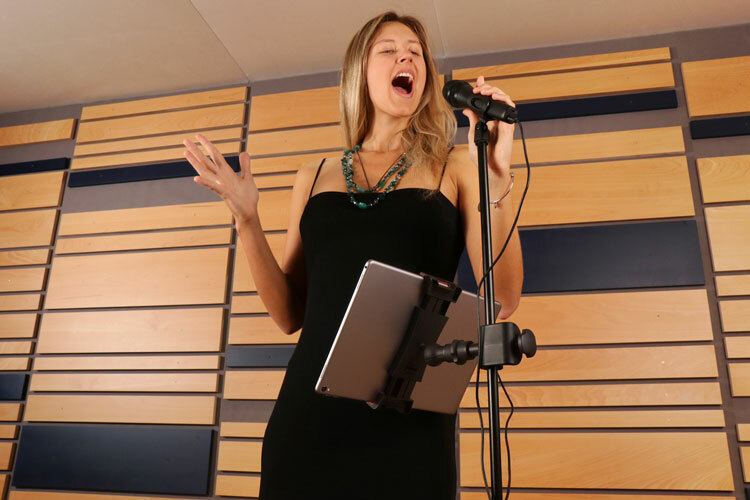 After years of refinement and improvements, iKlip 3 opens up new opportunities to ditch traditional chord charts, sheet music, and lyrics books for your favorite iPad music apps. 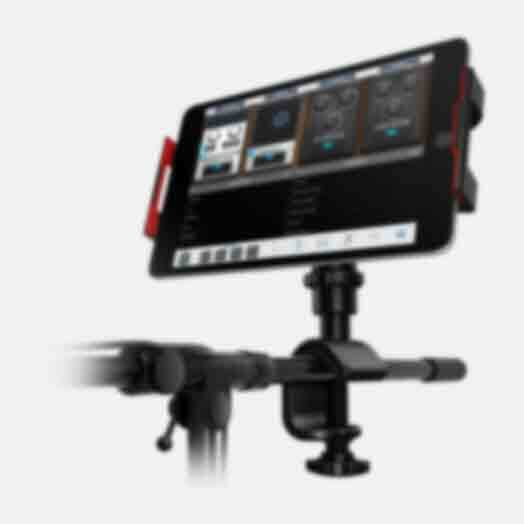 iKlip 3 is the solution to a quicker, easier, and more reliable performing experience. 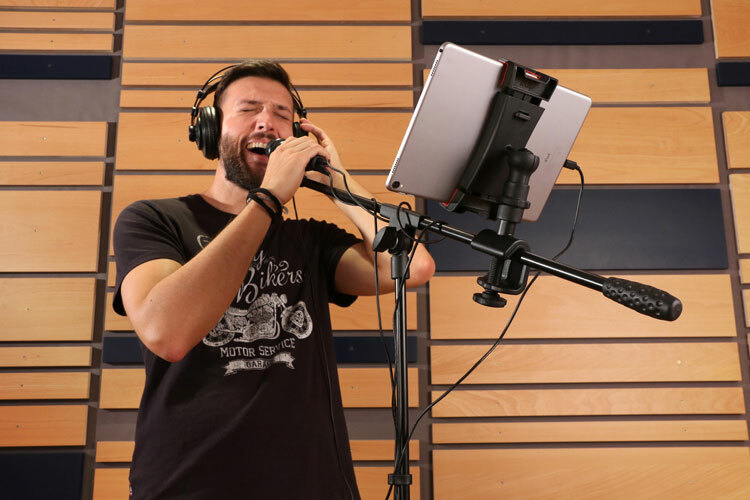 Stop shuffling paper or lugging heavy rigs to even the simplest performances – a modern iPad or tablet can replace a mountain of gear and save you wear, tear, and time. 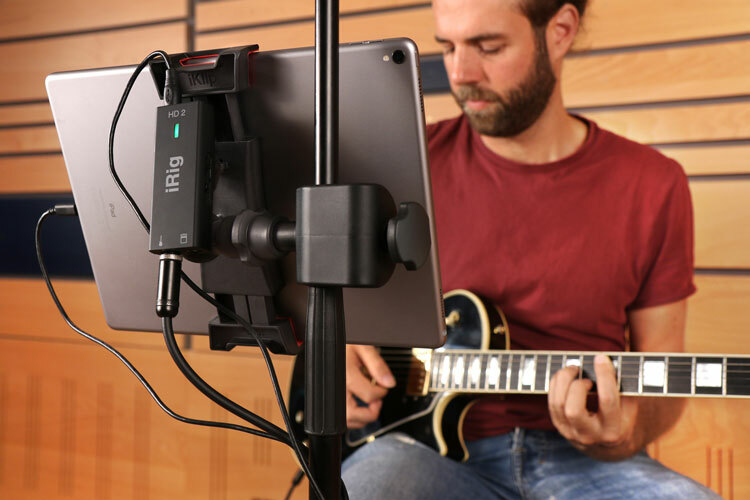 Singers, guitarists, drummers, musicians of all kinds: iKlip 3 will support your creativity anywhere you go. When it comes to iKlip 3, we have a proven track record of protecting devices, with nearly 300,000 iKlips sold and millions of gigs performed. We understand that tablet security isn’t a place to be cheap and risk an expensive and essential device. So we take pride in crafting our products with the best design and materials. iKlip 3 is completely redesigned and made from rugged thermoplastic, making it sturdier, lighter, and more portable than the rest. It features new, larger and more durable rubber grips that ensure it will stand up to years of abuse without wearing or loosening, and that won’t mar your device’s finish. Its new design leaves all ports accessible with or without a case. And best of all it’s flexible enough to fit future devices, and sturdy enough to stick around for the long run. iKlip 3 is guaranteed to keep you center stage at all of your experiences to come. iKlip 3’s new design lets you mount your device in 3 ways: on the front, side, or boom arm of any mic stand, so your device is in the right spot for any gig. And with the new iKlip 3 Deluxe you can expand things even further, mounting directly on the top of a mic stand, or onto tripods and any other standard UNC camera thread. These mounting options give you the largest range of creative applications that span the entire spectrum of stage, studio and field situations, from music to presentations, from audio to video shooting. Did somebody say universal tablet support? You heard right. 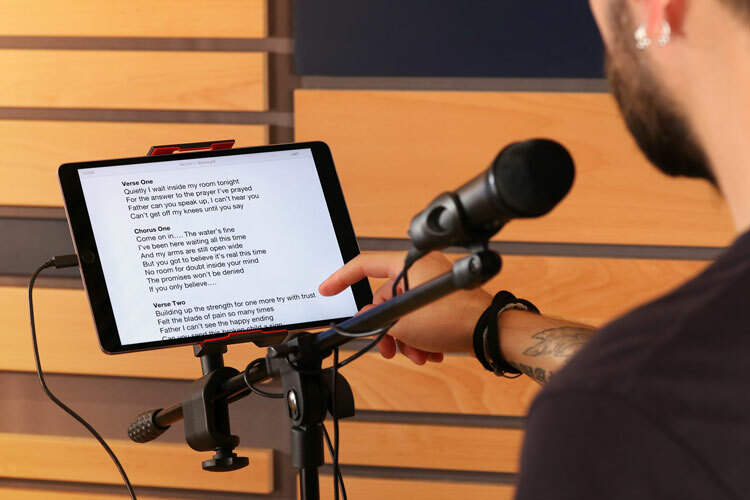 A new and improved clip fits the widest range of tablets, with screen sizes from 7" to 12.9", meaning that whatever device you bring to the stage can be brought to life with iKlip 3. Don’t worry about taking off your device’s case, iKlip 3 can hold those as well. 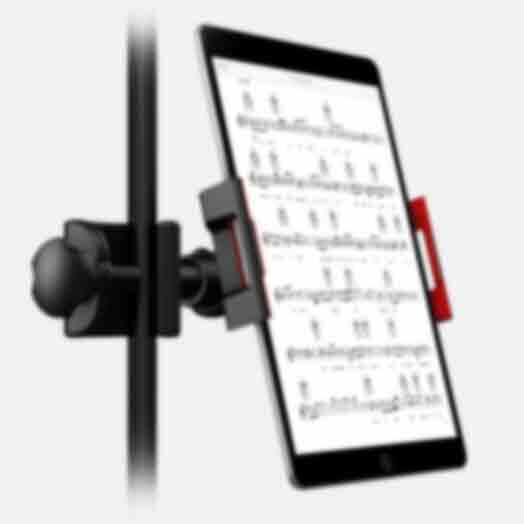 The most universal mount on the market, iKlip 3 supports all sized tablets from iPad Pro, to Samsung Galaxy, to iPad mini and beyond. iKlip 3’s design keeps it “future-proof” as well, so as your devices change and improve, it will still fit! iKlip 3 cuts setup and breakdown time to a fraction, making it the perfect device for on the go artists. 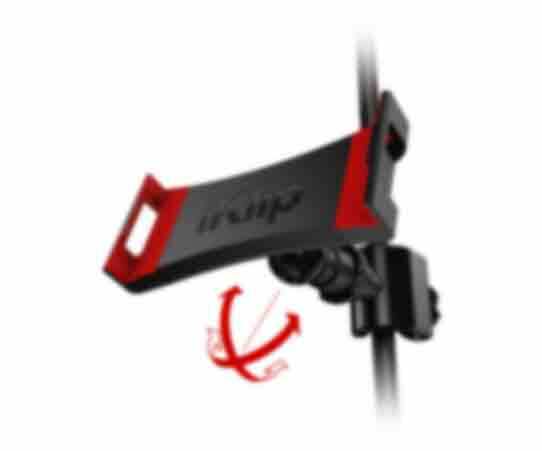 Once mounted, iKlip 3’s bracket locks in with just a few simple twists. 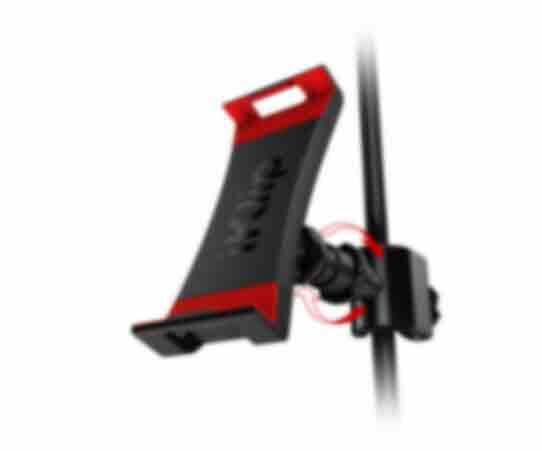 iKlip 3 fits on any part of a mic stand, making installation and positioning a breeze. Devices can be positioned both horizontally and vertically on poles up to 1.2" in diameter. 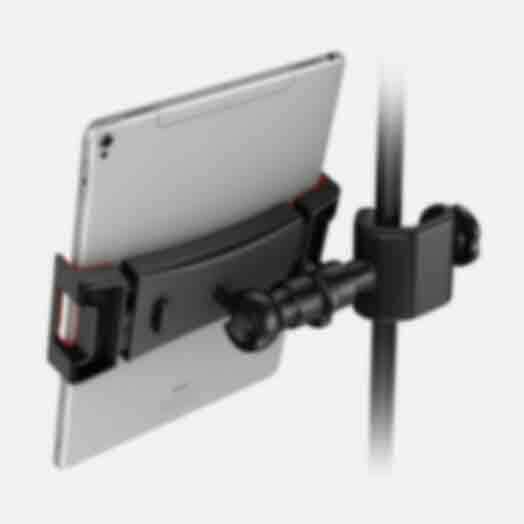 Unlike top-mounting tablet mounts, iKlip 3 can position your device at the exact height you need, so even in unfamiliar situations you can count on setup to be quick and easy. 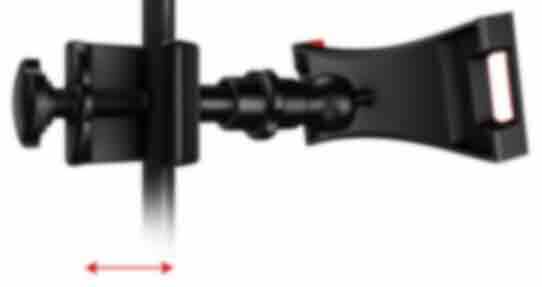 iKlip 3 also features a ball & socket joint, allowing for the widest range of positions possible in both landscape and portrait orientation. 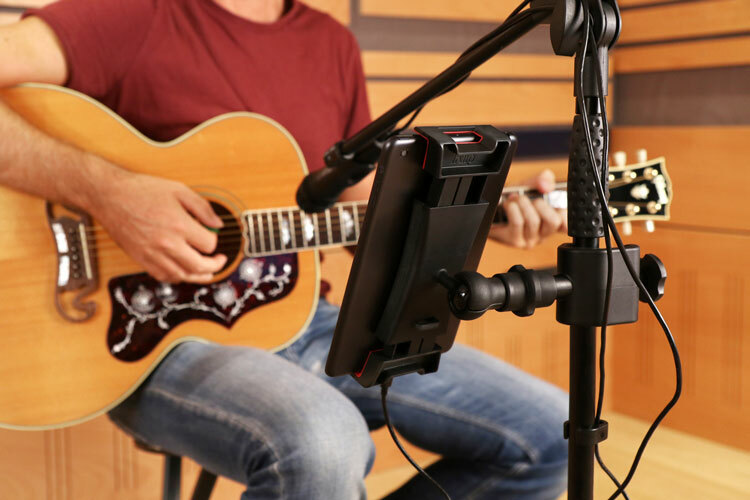 The new mounting bracket also rotates 360º to quickly accommodate any viewing angle within seconds, and keeps everything together in between gigs so there’s no pieces to lose. Plus a new Velcro® slot instantly secures interfaces, cables or other accessories, keeping your setup neat and organized. 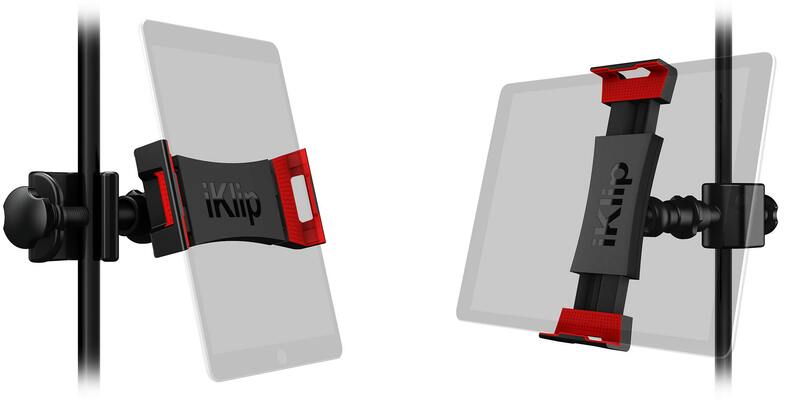 To get the most out of your tablet mounting experience, we offer the iKlip 3 Deluxe bundle. This package includes both the iKlip 3 and iKlip 3 Video mounts and one bracket, to transform your device from stage mount, to tripod, and beyond! iKlip 3 Deluxe offers the widest range of mounting options, allowing you to simplify your setup (and ditch multiple pieces of gear). 5 mounting options give you the largest range of creative applications that span the entire spectrum. 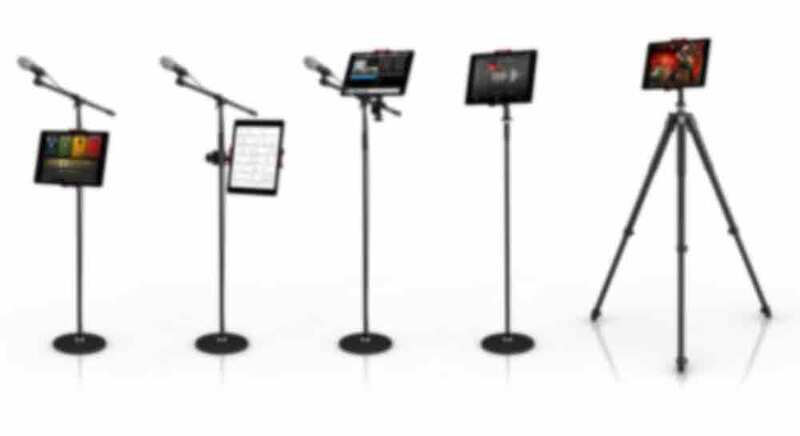 Whether you’re a musician looking to streamline your rig, an ensemble looking to manage your sheet-music library, a presenter looking for a more high-tech teleprompte, or a photographer looking to shoot video or use tablets as a b-screen, iKlip 3 Deluxe is the easiest way to take your tablet live, wherever the show may be. Not sure how to get started performing with your device? 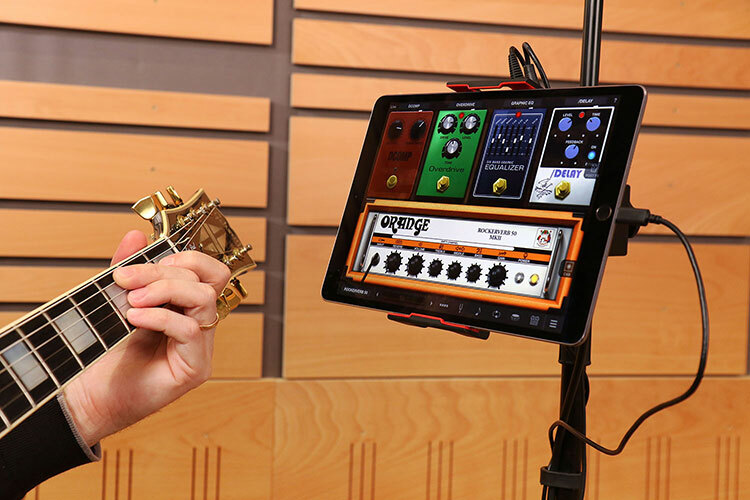 Just download our free iKlip Stage app for iOS and Android, mount your tablet stand, and you’re ready to shine! iKlip Stage is a streamlined music file management and page turning app with intuitive controls that make it easy to organize and perform with your favorite music scores, lyrics, tabs and more, in a wide range of formats. Register your iKlip 3 in-app to unlock additional features and expanded set lists. Pair iKlip 3 and iKlip Stage together for a powerful, reliable, and easy-to-use experience that is ready to accompany you wherever you may go.